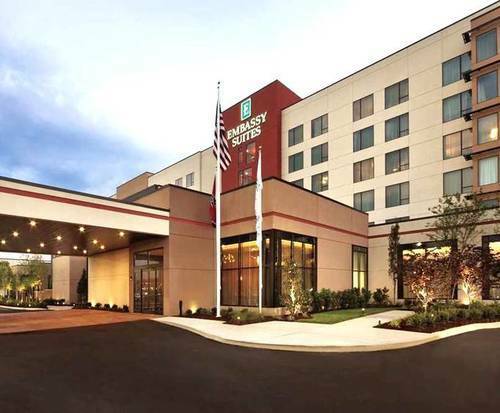 Embassy Suites Knoxville West is near Turkey Creek Shopping Center in West Knoxville, Tennessee. This smoke-free location offers guests the use of an indoor pool, a spa tub, and a complimentary cooked to order breakfast. Guests can enjoy golfing and sightseeing during their stay. When it comes to relaxing, this hotel does it right. Step into comfort and luxury in the large and spacious guest suites that feature two HDTVs with cable, a separate sitting area, and a spacious work surface. The hotel is centered around a beautiful natural atrium offering a tranquil sitting area and calming view. Guests are treated to a delightful managers reception each evening featuring complimentary snacks and beverages. The hotel boasts 9,000 square feet of flexible meeting and banquet space that comes with AV equipment and catering options to fit any event. The hotel features a business center, express check out, free self parking, laundry facilities, luggage storage, and a safe-deposit box located at the front desk. Guest rooms feature air conditioning, coffee/tea maker, desk, high speed internet, hair dryer, microwave, refrigerator, iron, and an ironing board. The hotel's central location makes it easy to visit the surrounding attractions including Dead Horse Lake Golf Course, Putt-putt Golf & Games, Town Center Mall, Breakout Knoxville, and Regal Pinnacle Stadium 18 IMAX & RPX. 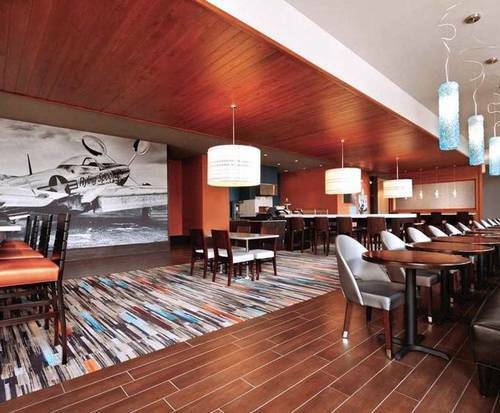 Dining is easy with the numerous meal option near the hotel including Parkside Grill, Sami's Café, and The Chop House.